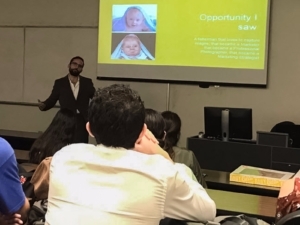 On october 18th, our Marketing Director Mr. Carlos Bortoni was invited to speak at The American Marketing Association – Edinburg’s Marketing Week held at The University of Texas Rio Grande Valley. 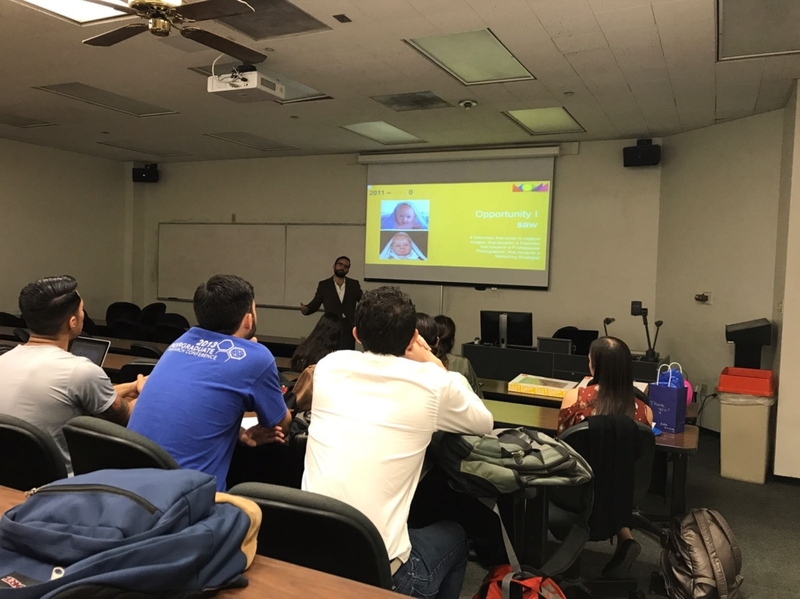 During his one hour presentation, Mr. Bortoni spoke about how Moma Consulting went from an Advertising Agency, to a Multi-Channel Digital Marketing Agency serving clients both in The United States, and Mexico. Throughout the presentation, attendees learned about The Momentum Marketing Philosophy and the work methodology used in Moma Consulting to plan, execute, and measure Digital Marketing Campaigns. As a guiding axis of his speech, Mr. Bortoni shared with The American Marketing Association’s auditorium, Moma Consulting’s Marketing Manifesto. Ten points that have helped the agency evolve to become what it is today, and expand to serve clients in states that range from California, Texas, Maryland, and Ohio in The United States, and Nuevo Leon, Tamaulipas, Puebla, Queretaro, Michoacan, and Quintana Roo in Mexico. Loyalty, Above and Beyond, Creativity, Passion, Treat your clients as partners (Moma Consulting’s Values) – Be daring, be different. No one who’s ever wanted to change the world has stopped to ask for permission. Your vision is what gets you started. Hard work and a stubborn heart keeps you going. Believe in yourself, and keep grinding! – It’s a numbers game. Learn to use KPI’s, implement pull strategies, and ABC – Always be Closing. Read everyday, challenge yourself. If you want to stay in the game you’ll have to be willing to sacrifice leisure time. Invest in yourself, to become better, to become smarter! We combine 2 passions to create compelling visual imagery that captivates, resonates, and tells a story. We strive to create visual cravings, that offer something valuable in return for the time our intended audience invests. Aim to deliver unforgettable brand experiences! 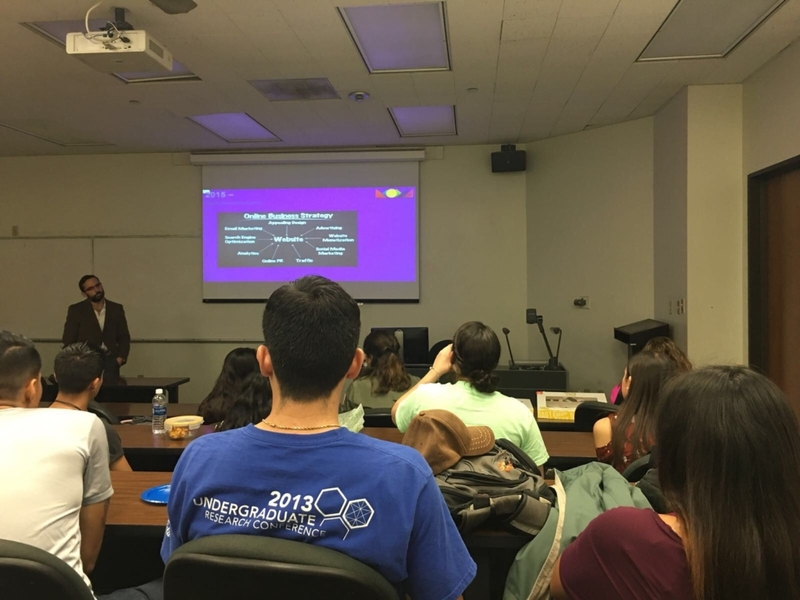 It was a true pleasure having the oppotunity to present before The American Marketing Association- Edinburg’s Chapter at The University of Texas Rio Grande Valley. We sure hope to have the opportunity to meet up with new generations, and sharing some more of the work we’ve had the privilege of doing, and learning from them. We hope this manifesto helps you in some way!